Now that Fall is officially here I can start in on all those spice filled, aromatic dishes. You know, the ones that make your house smell like a bakery. Personally, I’m not a huge pumpkin pie fan, but my hubby loves pumpkin pie so much it can only be expressed with moans and other yummy sounds. 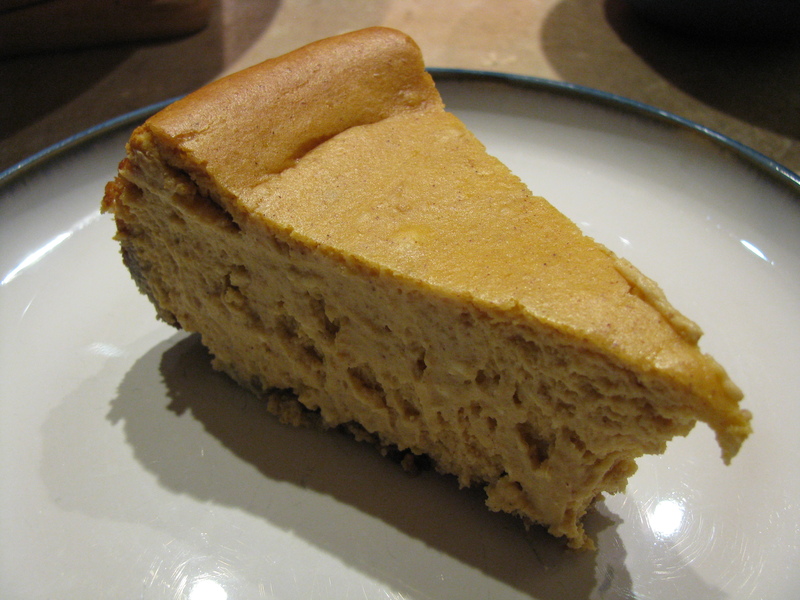 To compromise I’m kicking off the season with pumpkin cheesecake. Maybe if he’s lucky he’ll get some pumpkin pie for his birthday. Before I go any further there is one disclaimer: this makes a good sized cheesecake, so don’t make it unless you plan to eat in less than 3 days. The crust will get soggy if you let it sit for longer than that. Now, on to the recipe! This is seriously, without a doubt, the MOST delicious crust to ever have passed my lips. You could serve me just the crust and I’d be in heaven. Preheat oven to 325. Beat cream cheese and sugar with mixer until blended. Add pumpkin, spice and vanilla, mix well. Add eggs, one at a time, just blending each one. After everything is mixed and smooth, pour into crust. 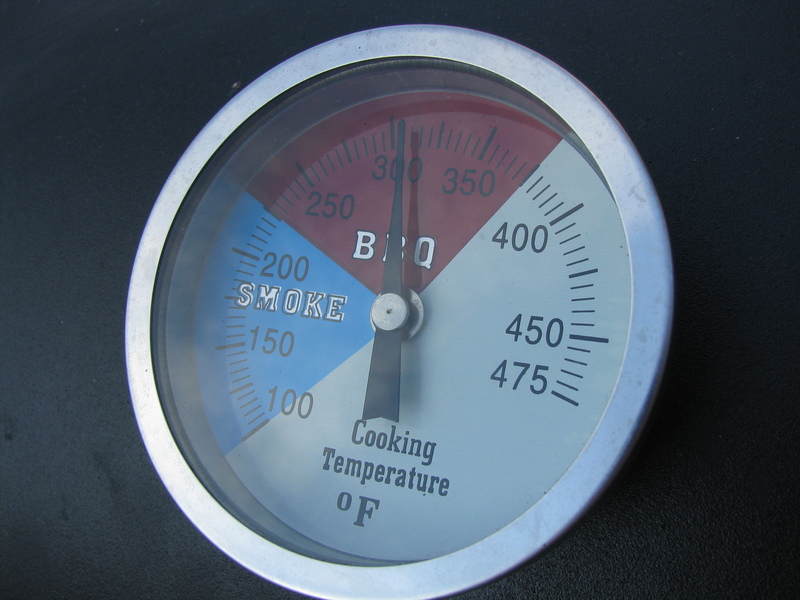 Bake for about 1 hour and 20 minutes, or until the center is almost set. Loosen the cake from the rim of the pan but cool it before removing the rim completely. Refrigerate for at least 4 hours. Make your own whip cream with a cup of heavy whipping cream and a heaping tsp of sugar. 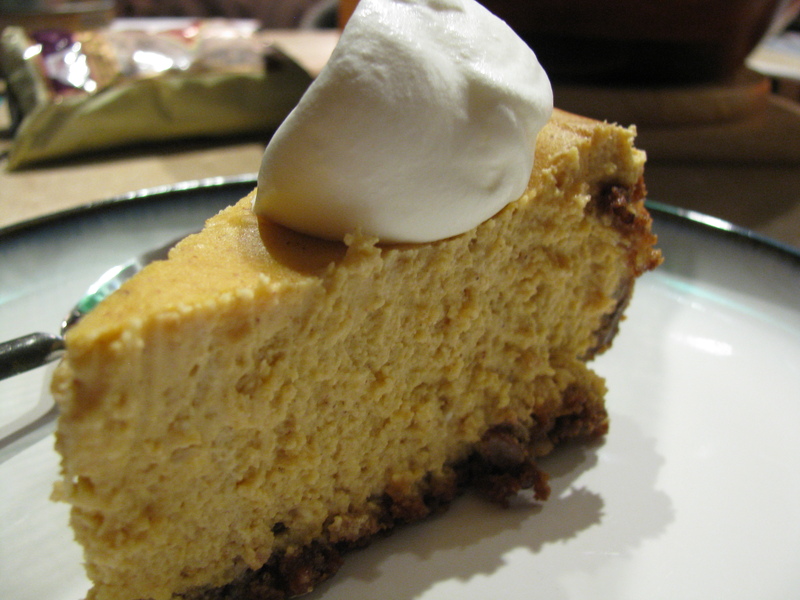 Sprinkle a little nutmeg on top of the dollop of whip cream to make the perfect topping! 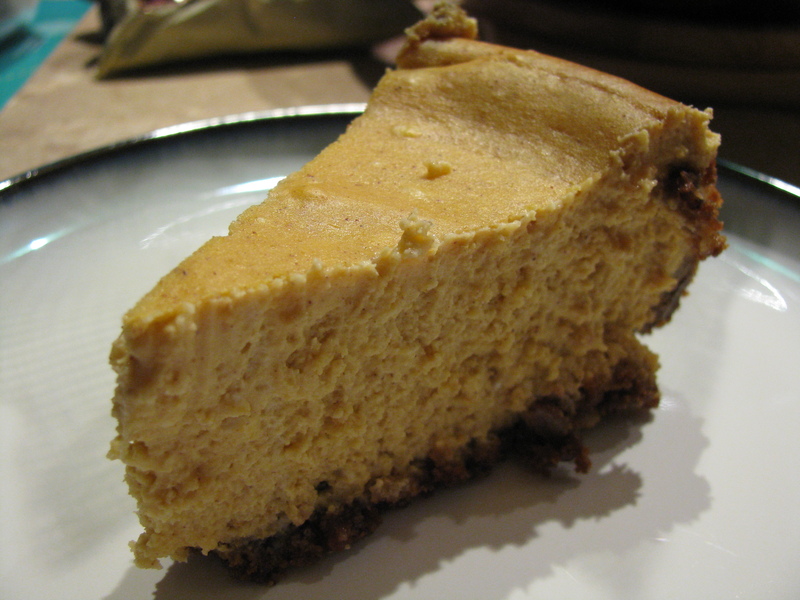 Categories: Baking, Delectable Dabbling, Food, Sweets | Tags: cheesecake, fall, ginger snaps, pumpkin pie cheesecake | Permalink. These are nothing short of amazing. 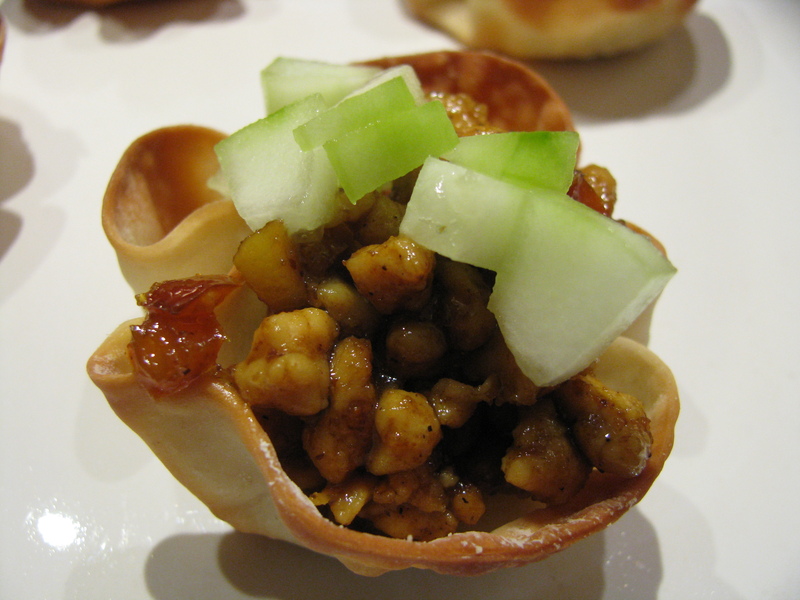 Sweet and spicy little Thai appetizers, or a main course, from Steven Raichlen. Preheat oven to 375. Brush the muffin tins with sesame oil, or spray, and press wrappers into each. Trim off excess dough if you have it. Bake until the shells are browned and crisp, ten to fifteen minutes, and cool on a wire rack. Meanwhile, prepare the filling. Trim fat from chicken and mince (this was an exciting opportunity to use the huge cleaver we received for Christmas.) Heat canola oil in a large frying pan over med-high heat. Add garlic, shallots, ginger, chilies, curry powder and cook, stirring continuously, until lightly browned, about three minutes. Add the chicken and saute until cooked through, another five minutes, crumbling with a wooden spoon. Add the sugar and fish sauce and cook another minute. 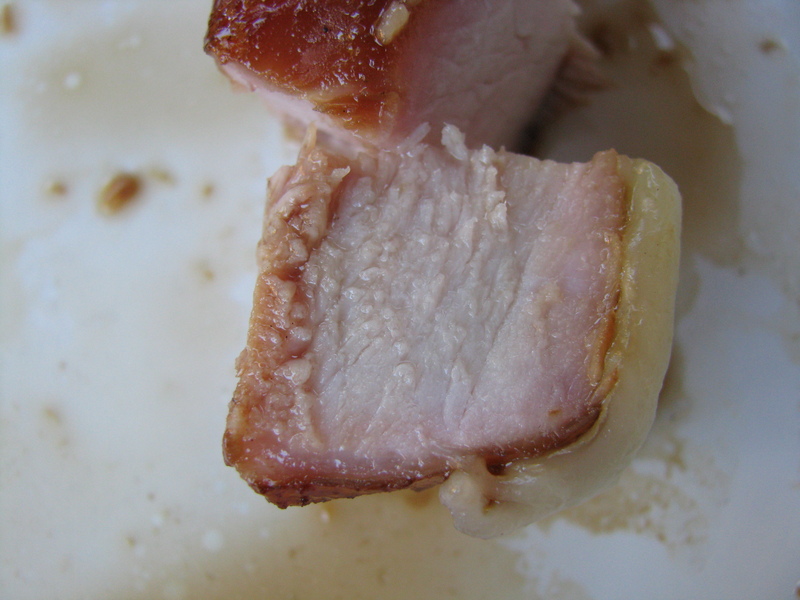 Taste and add either more sugar or sauce – the mixture should be salty, sweet, and spicy. Place about a tablespoon of filling in each shell, garnish with cucumber, pepper and cilantro – serve hot. Categories: Cooking, Delectable Dabbling, Food, Savory | Tags: appetizer, chicken, thai | Permalink. 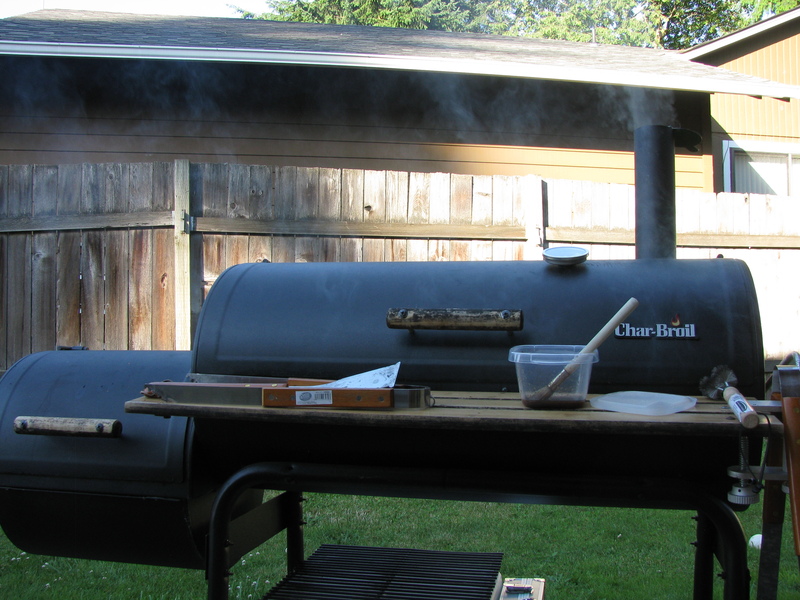 This recipe, from one of our many bbq books, is an excellent thirst-quencher on hot days. Or any day, for that matter. 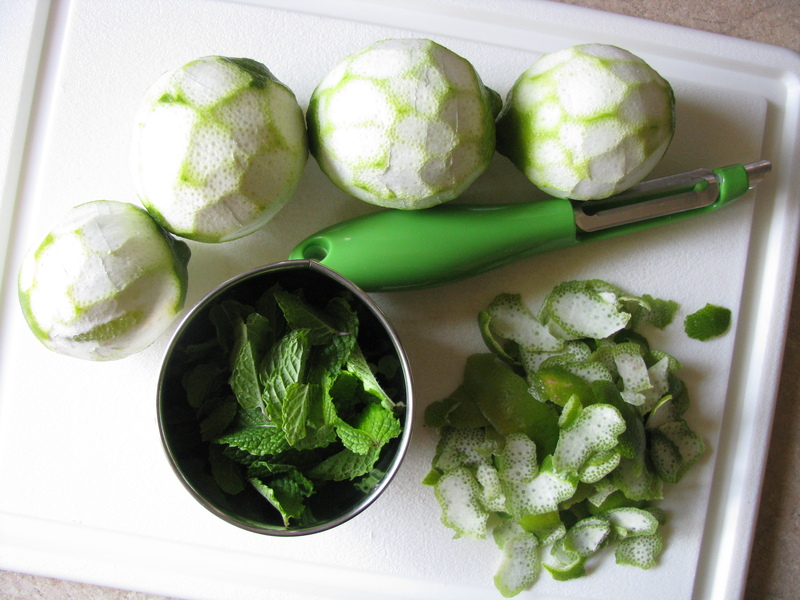 Use a vegetable peeler to remove the zest from four of the limes – try not to get too much of the bitter white pith. 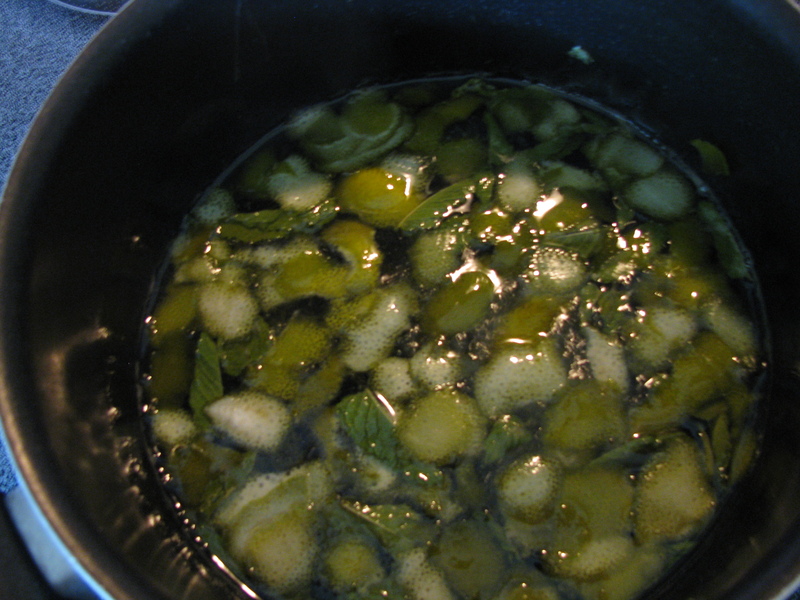 Lime zest, sugar, mint - simmering. 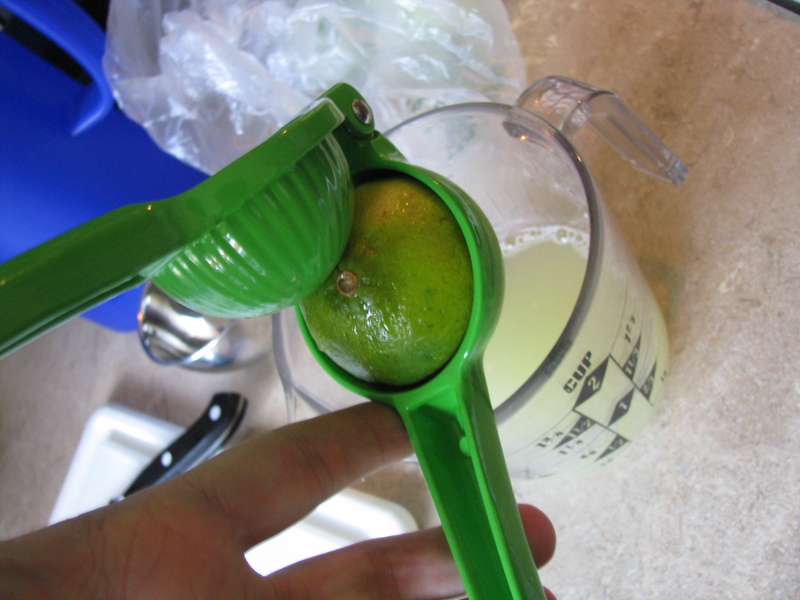 Squeeze the juice from all of the limes (1 cup or to taste) and add to pitcher with four cups of water. Taste and add more sugar or lime as necessary. Stir well and chill or serve in tall glasses over ice, garnished with mint. Categories: Delectable Dabbling, Food, Sweets | Tags: drink, limeade, mint | Permalink. My boss was kind enough to give us a nice sized tub of fresh blueberries. There are so many options for blueberries, but I also happened to have a package of cream cheese to use so frosting it is! The only problem: no recipes for blueberry cream cheese frosting. I did manage to find a buttercream blueberry frosting recipe so I just used the suggested amount of blueberries and the cooking instructions from the buttercream recipe and added it to a plain cream cheese frosting recipe. I tweaked amounts a little, of course, in order to end up with a good consistency. 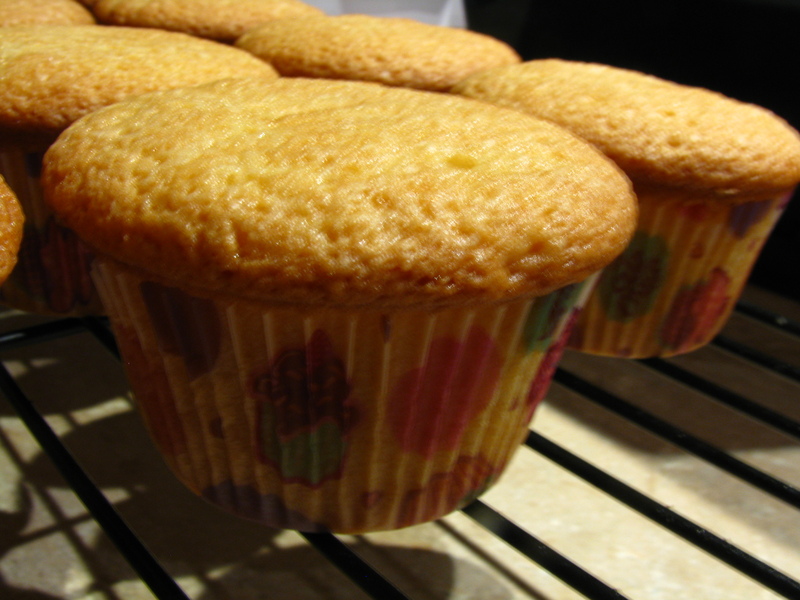 The recipe for the cupcakes is from Barefoot Contessa for sour cream cupcakes (link below). They turned out very moist and the perfect complement to the frosting. Reports were all positive! Next time I’m thinking a lemon cupcake would pair nicely with the frosting. Enjoy! Simmer blueberries on stove until most of the berries burst and release their liquids. Mash gently with a wooden spoon and chill in the refrigerator for 30 minutes or until cold. 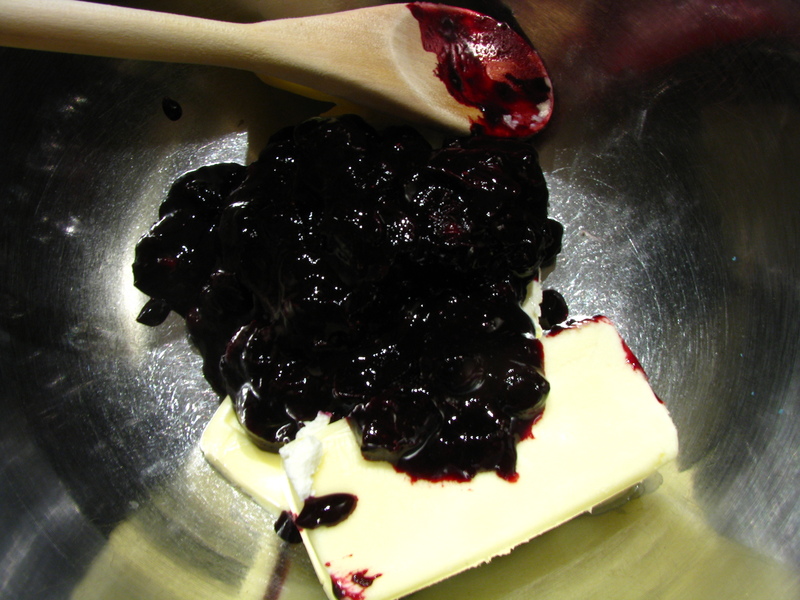 Mix blueberries with cream cheese and butter until well blended. Gradually add powdered sugar until you get your desired consistency. 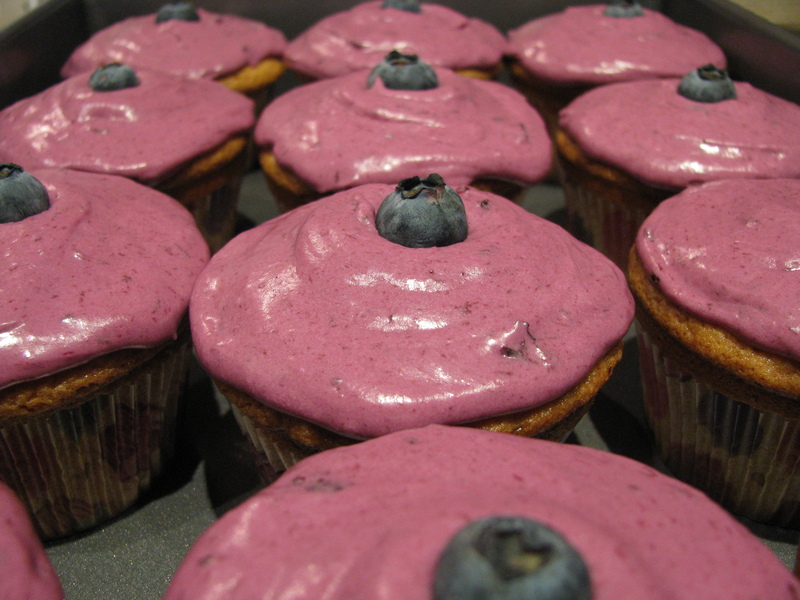 Categories: Baking, Delectable Dabbling, Food, Sweets | Tags: blueberries, cupcake, frosting | Permalink. We were eating at one of our favorite pizza places and I saw a S’mores dessert on their menu. I made some kind of comment about how it looked good, and that I’d get it if I wanted to look like a blimp. Since I don’t, we didn’t order it. After looking at all that was in it, however, it didn’t even really sound that great. This revelation started me on a tangent about the problem with S’mores replica desserts. It seems like every one I’ve had tastes NOTHING like a S’more. So Kev suggested we make our own S’more dessert. So we did. The result turned out great, but there are few things I will change next time I make it to really make it awesome. Grind graham crackers in a food processer until the grains are a little bigger than sugar. Dump the ground crackers in a bowl with the sugar. Then mix in melted butter. 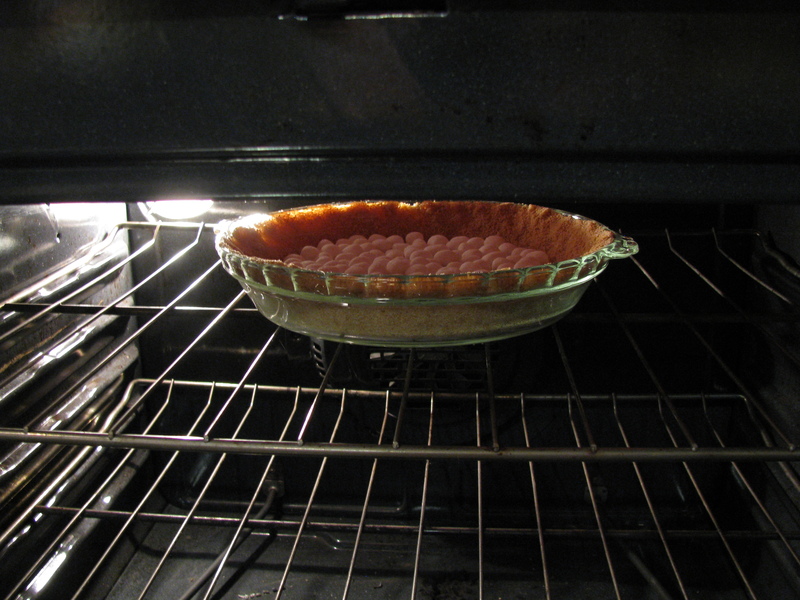 Press the mixture into the bottom of a 9″ pie plate. 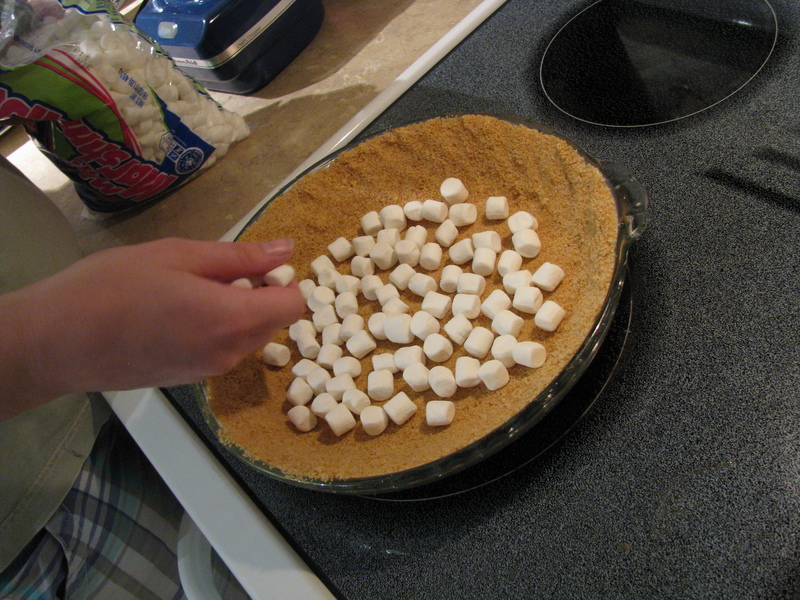 We then placed a layer of mini marshmallows on the pie crust. Next time we will do 2 layers of marshmallows to give it more marshmallow taste. 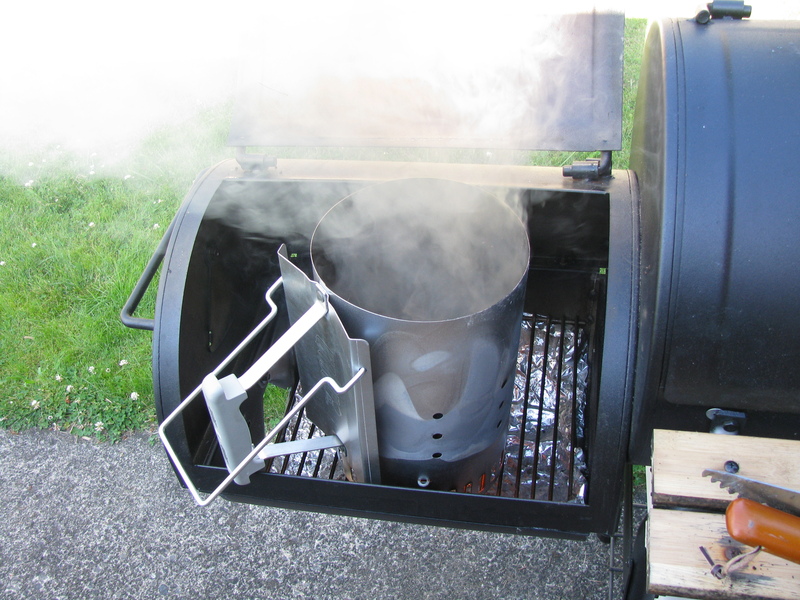 Stick the Pie plate under a low broiler until the marshmallows turn a golden brown. Remove from the oven and pour in the pie filling. 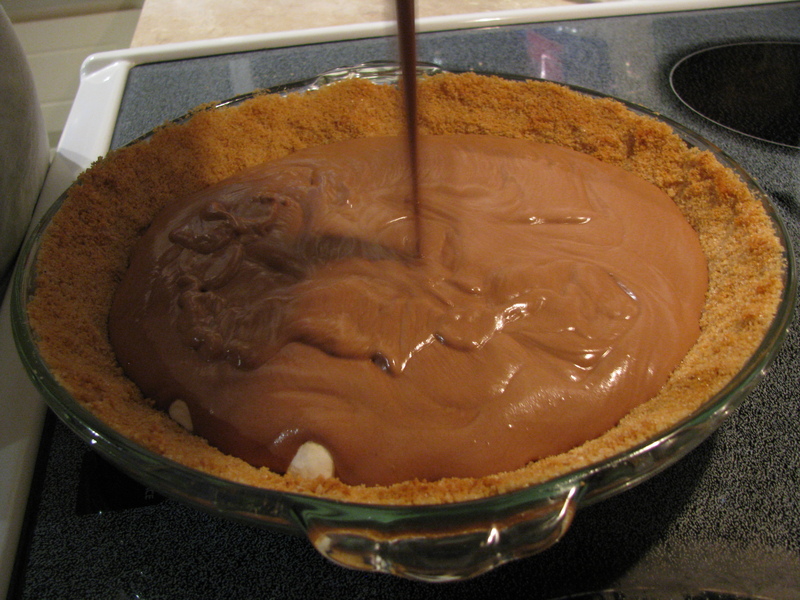 Fold the ganache into the whip cream and pour mixture into the pie plate. 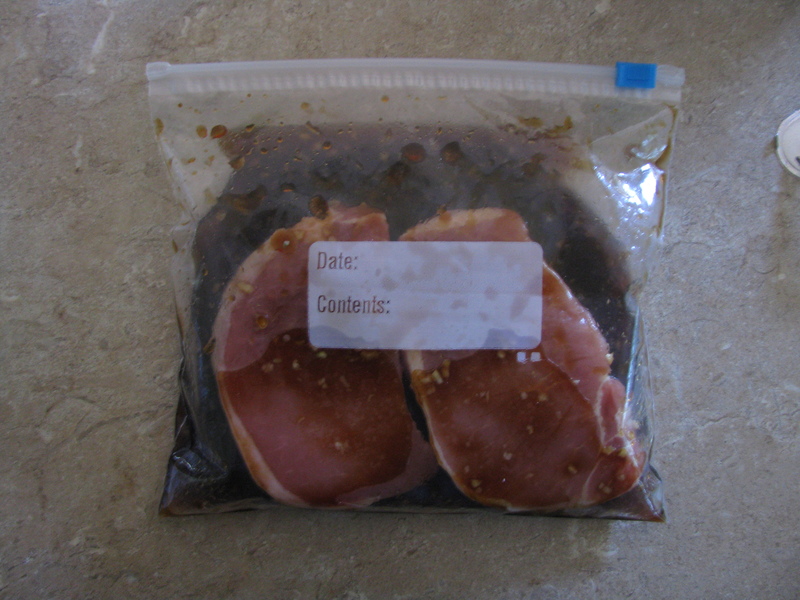 Cover and put in the freezer for several hours or overnight. Thaw before serving with more marshmallows sprinkled on top for decoration. 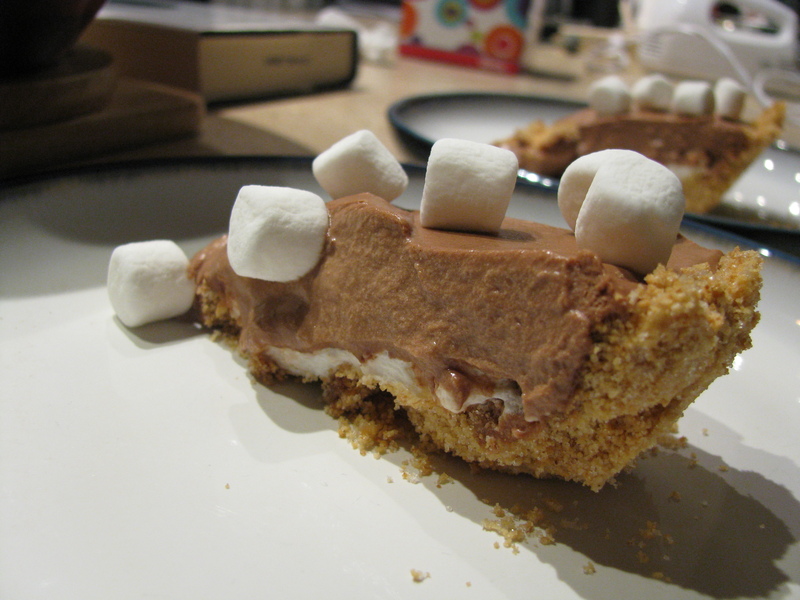 We plan to get a brulee torch and brown another layer of marshmallows on top of the pie to add even more toasty flavor. We were happy overall with the pie, but changing the amount of marshmallows and toasting them on top would make it better. I’m also thinking about making the ganache milk chocolate to stay true to a traditional S’more. 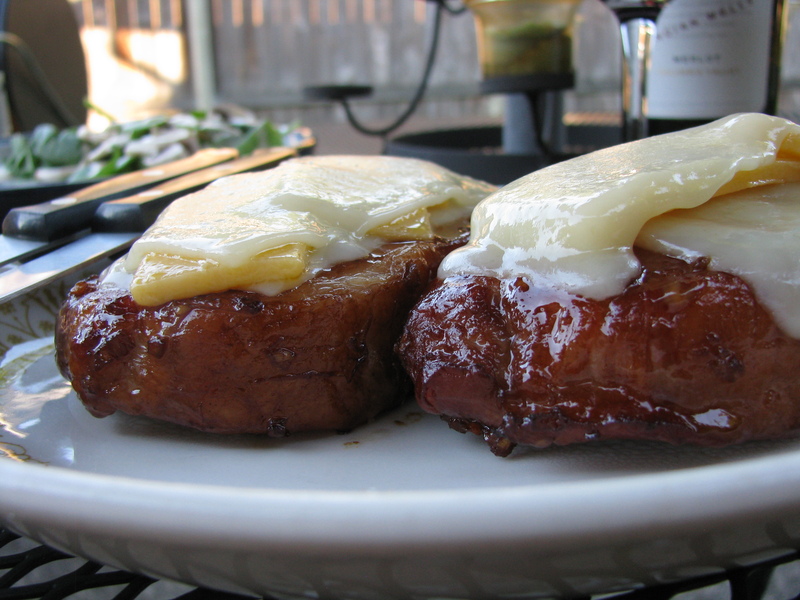 Categories: Baking, Delectable Dabbling, Food, Sweets | Tags: crust, pie, smores | Permalink. This delectable dabbling comes from a cookbook called ‘wichcraft by Tom Colicchio. Check the book out at your local library. You might even decide to buy it if you love sandwiches as much as I do. There are some really amazing looking things in this book, but being a sweets junkie I opted for the back of the book-desserts. It was a tough decision between the chocolate sandwich cookies and the peanut butter ones, but in the end chocolate won out. Because our grocery stores are void of cocoa nibs I had to alter the recipe right off the bat. 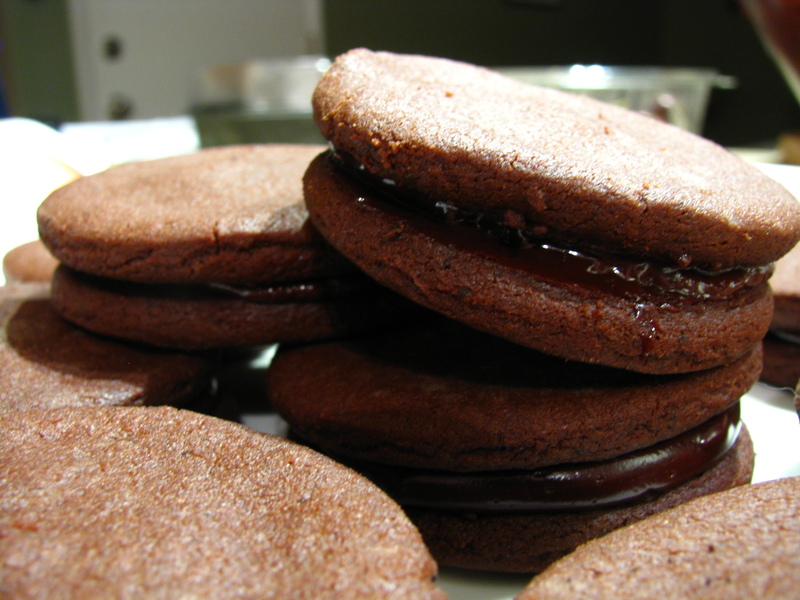 Plus, the recipe calls for 65% cocoa bittersweet chocolate and our store only sells 60%. Not a big deal, though. It will sub straight across and unless you have a palette refined for chocolate you will never know the difference. 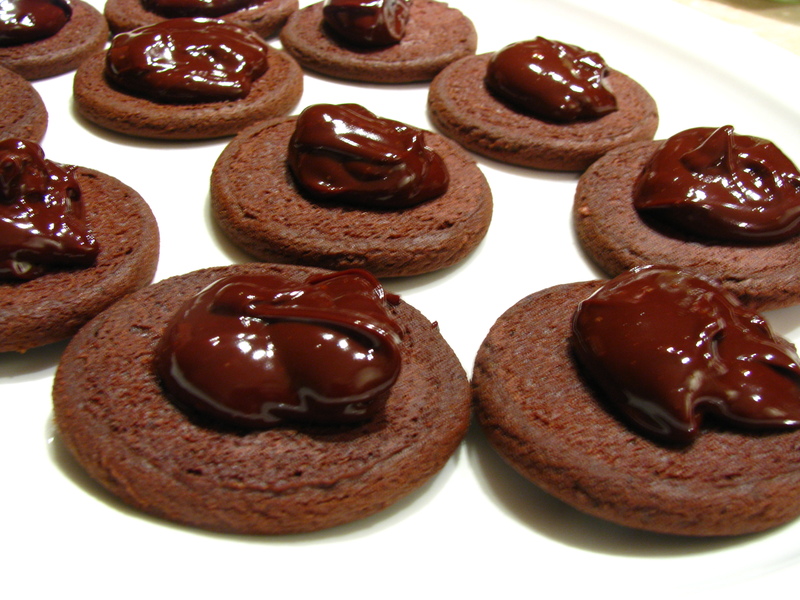 You can also sub with semisweet chocolate (maybe add 1/4 tsp of unsweetened for a richer flavor). The cocoa nibs were harder. For starters, I had NO idea what they were. According to the book they are little pieces of roasted cacao beans. Well, I’m fresh out of those and wanting to keep with the idea of adding a bit of extra crunch, I experimented with coffee beans and chocolate. In a coffee grinder place a Tbsp of bittersweet chocolate chips and about Tbsp ground coffee (I used a dark roast). Grind it up until it is a powder. Now, in a stand mixer or large mixing bowl place 1 and 1/2 sticks of softened unsalted butter (just nuke it for about 20 seconds to get it soft) and the powder you just made. 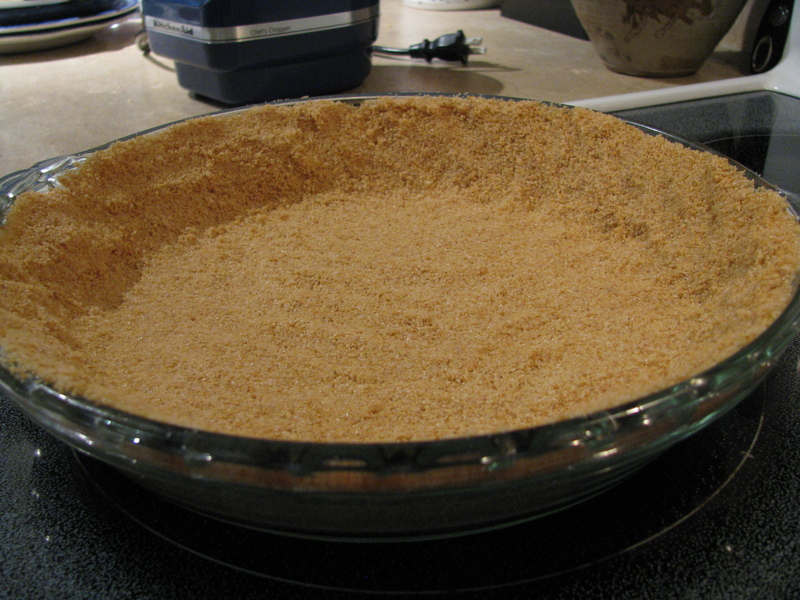 Mix with 2/3 cup brown sugar (dark or light) and 2/3 cup granulated sugar until everything is well mixed. Next, in a double boiler, if you have one, or in a small pan on very low heat, melt 6 ounces of bittersweet chocolate. 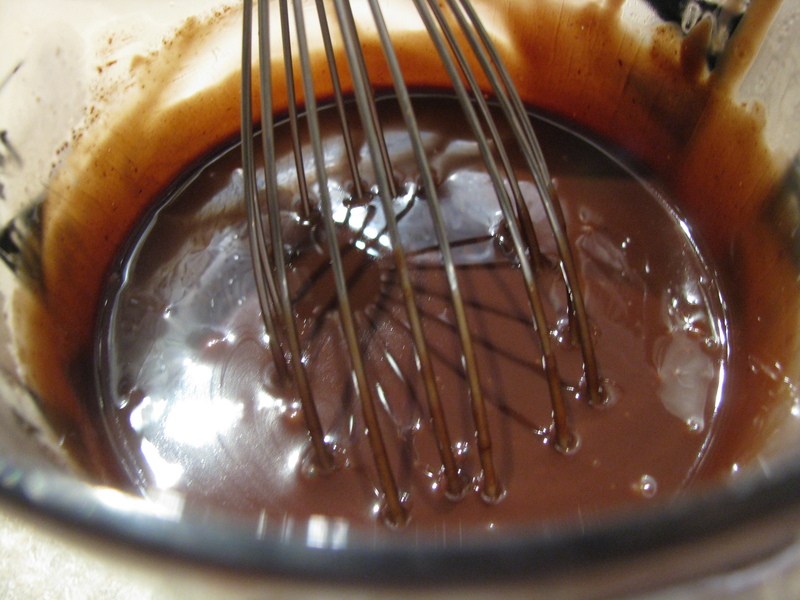 Add 1 tsp vanilla to the melted chocolate and add the whole mixture to your sugar mixture. 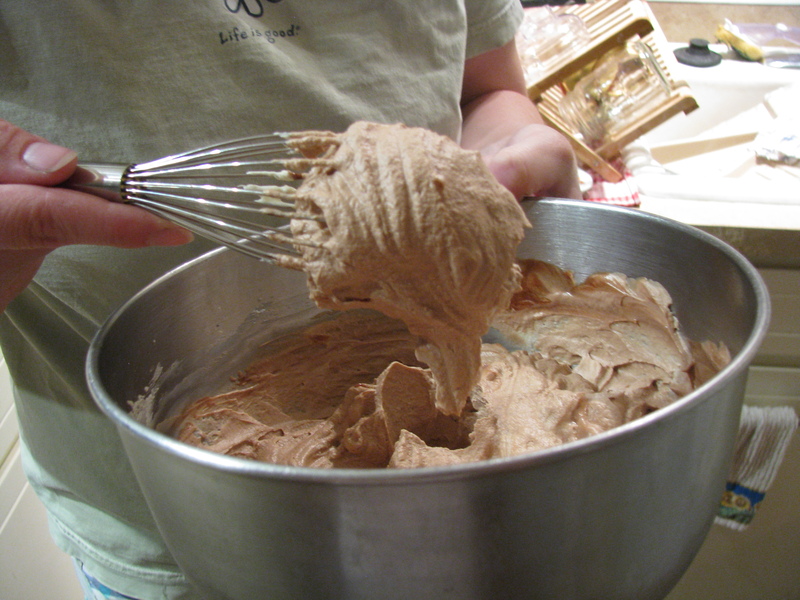 Now for the dry ingredients: 1 3/4 cups all purpose flour, 1 tsp baking soda, 1/2 tsp salt, and 1/2 cup cocoa powder. Mix these all together and then add the mixture to your wet mixture until you have a smooth dough. Chill in the freezer for about 5 minutes (I forgot this step and they turned out fine). 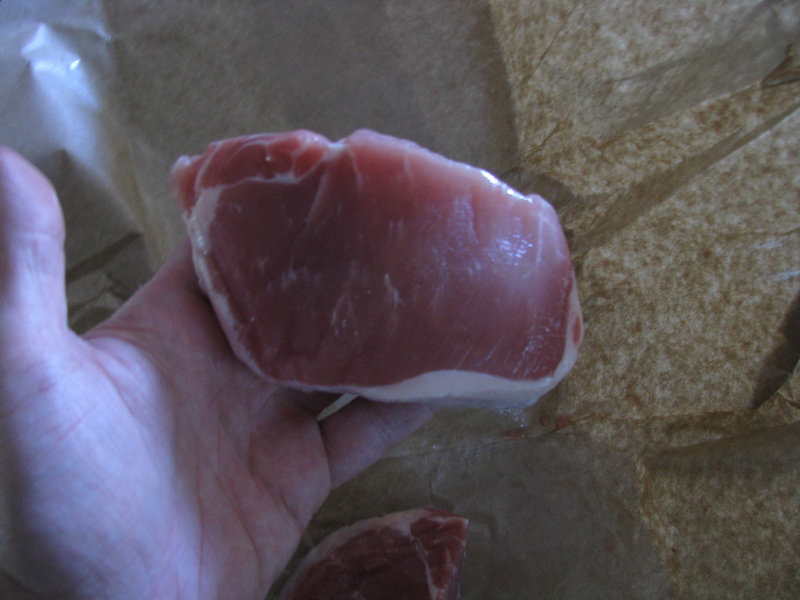 On your countertop spread parchment paper or wax paper to cover a fairly large area. Plop the dough down on the paper. Top the dough with another layer of paper. Now get out your rolling pin and whack the dough until you no longer feel any stress about your life. Wait! I mean, gently roll the dough until it is about 1/4 inch thick. 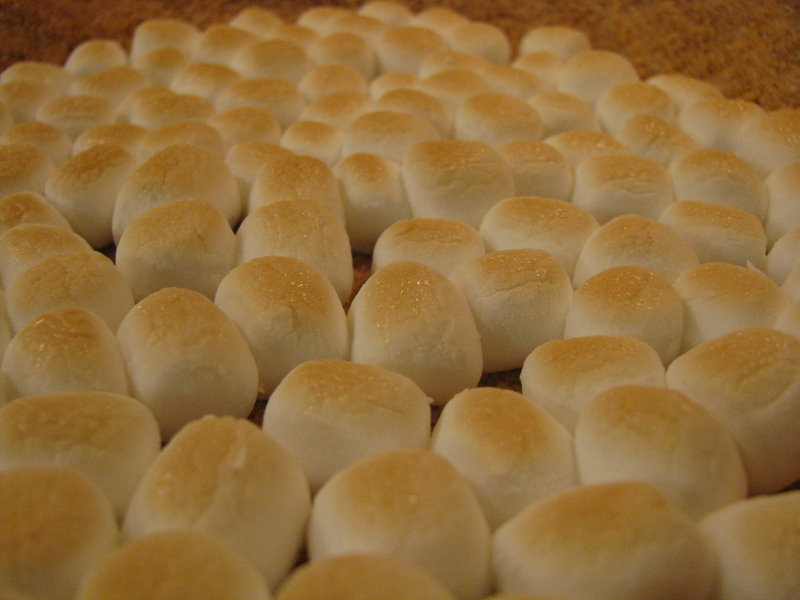 Cut dough into about 2.5 inch rounds and place onto an ungreased cookie sheet about 1/2 inch apart. Bake them for 12-15 minutes in a 350 degree oven. Gather any leftover dough and roll it out again, cut more cookies, and bake more cookies. Place cookies on a baking rack or a paper bag to cool. Place chocolate , salt, and butter in a bowl. Heat the cream in a small saucepan, or in the microwave just until it boils. Don’t overheat it or it will scorch. Pour the cream over the chocolate and butter to melt the chocolate. Stir until smooth. Let the mixture cool to room temperature. Lay half of the cookies with the pretty side facing down. 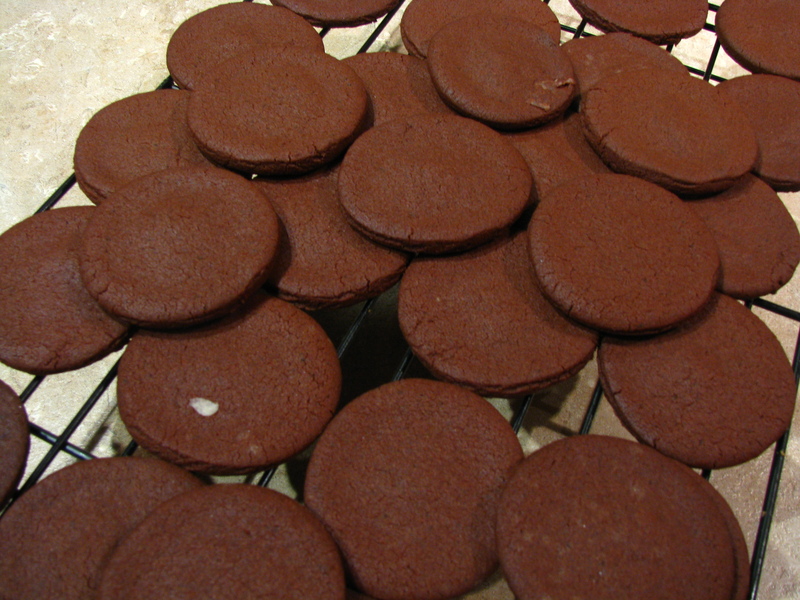 Using a spoon (or a piping bag if you have one) pour filling onto the cookies. Complete the sandwich with the other half of the cookies. Voila! 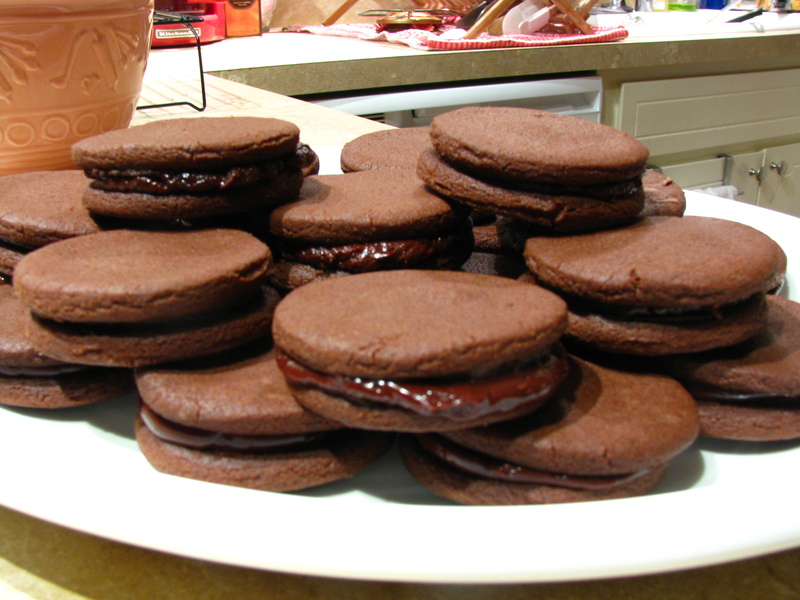 You just made sandwich cookies. They look store bought and super fancy! If you don’t plan to eat them right away store them in the fridge, or some other cool place. Categories: Baking, Delectable Dabbling, Sweets | Tags: cookbook, cookies, sandwich | Permalink.